The Medieval church of St. John the Baptist dates from the 13th Century. The church was thoroughly restored and underwent partial rebuilding, and was re-opened in 1861. 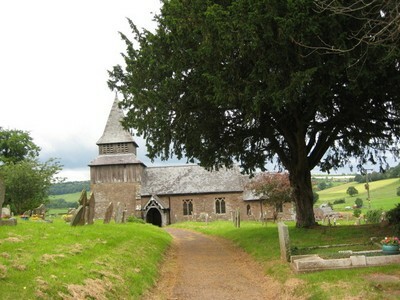 As well as restoration, the tower was rebuilt; the north aisle was lengthened and a new porch and vestry were added. The tower is unique, and is constructed of heavy oak; standing around 60 feet high and with three different stages which are supported by four oak “legs” that once were the trunks of large trees. A new pulpit and font were erected, and the whole of the interior was renovated. All the work was carried out sympathetically, and from a building that was nearly in ruins, a glorious little church now graces the countryside of Orcop.